With the presence of Studio Ghibli, and with the emergence of Laika Entertainment, there exists real competition with Disney/Pixar for the animation market. Disney will always be a hit with kids, delivering epic fantasies and stunning princesses. Laika has taken a darker road, using stop-motion to tell us spooky tales. And Ghibli, which has been producing in Japan for 30 years, gives audiences a unique perspective that the more artistic will appreciate while children will delight. Princess Mononoke, Spirited Away, Howl’s Moving Castle, Ponyo, The Secret World of Arrietty, The Wind Rises, When Marnie Was There; these are some of the most widely known and successful animated movies across the globe, and Ghibli’s contributions to even American entertainment can’t be denied. 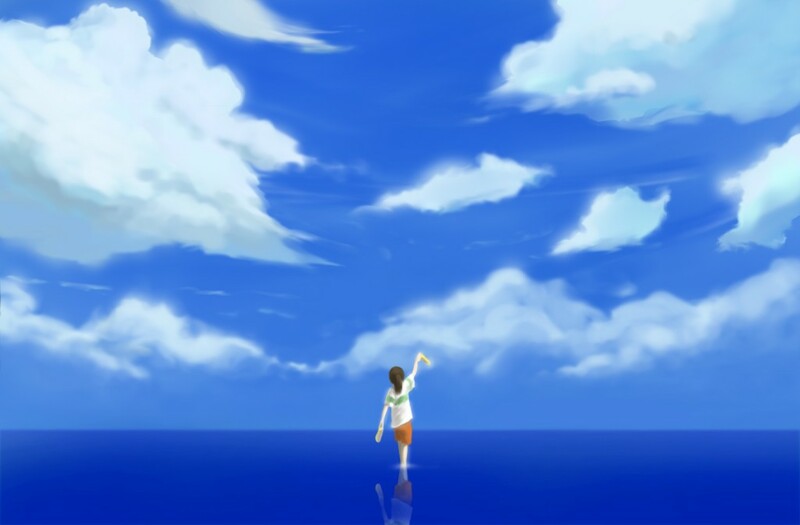 Young Chihiro must follow her parents to a new home, new town, new school, leaving her friends and her past behind. She’s a timid girl, scared of everything, and not near up to the task of starting life anew in a strange place. Her parents try to convince her that this is all an adventure, that wonderful new experiences await her around the corner, but she can’t see that, the pain of leaving is still too raw. Chihiro can’t accept her changed life, but she will soon be forced to look around in a way she has never done before. Taking a shortcut, her father drives the family up a forest road, which dead ends at an ancient-seeming building that is actually not as old as it seems. As the family enters to explore, they cross the line between fantasy and reality. An abandoned amusement park lies on the other side of the gateway, Chihiro demanding to leave immediately, her parents anxious to discover. They trek through empty fields, a man-made river that was never filled, a fake town where people used to come for entertainment and festive food. Actually, someone is cooking something, and Chihiro’s parents follow their noses until they find an unparalleled feast, gorging themselves on delights until they begin to resembled pigs rather than humans. Chihiro finds herself in a world inhabited by spirits, a world in which her parents are fattened up for the slaughter, a world in which little makes sense and danger lurks around every corner. She’ll make new friends who will help her on her mission to rescue her parents and to leave this magical world, but in the end she will have to find the courage to save herself. 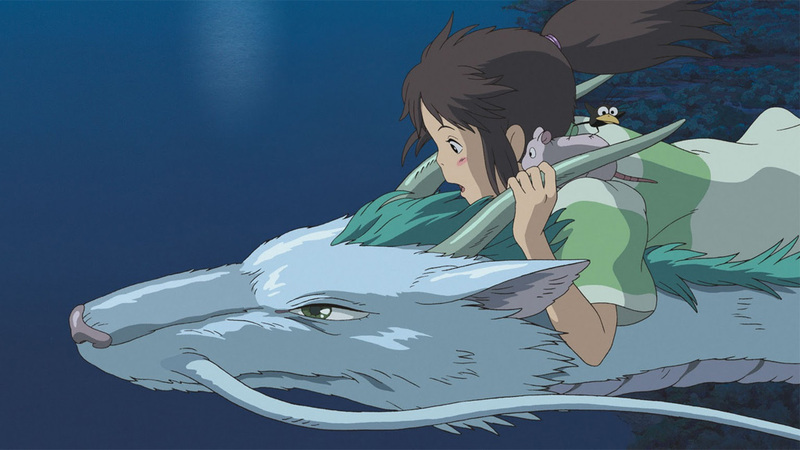 Spirited Away is one of the most stunning films you will ever watch, with visuals that will burn themselves into your mind and will stay with you forever. I know that sounds dramatic, but I’m not sure I’ve ever seen still images like this, the screenshots from this film becoming a gallery of brilliant paintings with vast imagination as their origin, imagination that I can’t even fathom. I hope these pictures do the movie justice, or simply do a search and see your yourself’; every scene is beautiful and original, every character worth turning into a statuette and placing on a shelf to view for years to come. The visuals are by far the best part of this film, the artwork and the time put in to creating it are both vastly impressive. The story, unfortunately, doesn’t hold its own. I know that this film is highly regarded, and I don’t mean to suggest that it shouldn’t be. I just couldn’t immerse myself in the story the way I wanted to, the way I though that I would be able to, not like I have with other Ghibli features at least. Ponyo and Arrietty had plots that I just adored, whereas Mononoke and Spirited Away were more scattered, more chaotic, and probably a little more anime. That’s not my genre, I won’t claim to know a ton about it, I just assume that I like my Ghibli slightly more American, and I’ll tale the blame for being conditioned by Hollywood animation into becoming so ethnocentric. 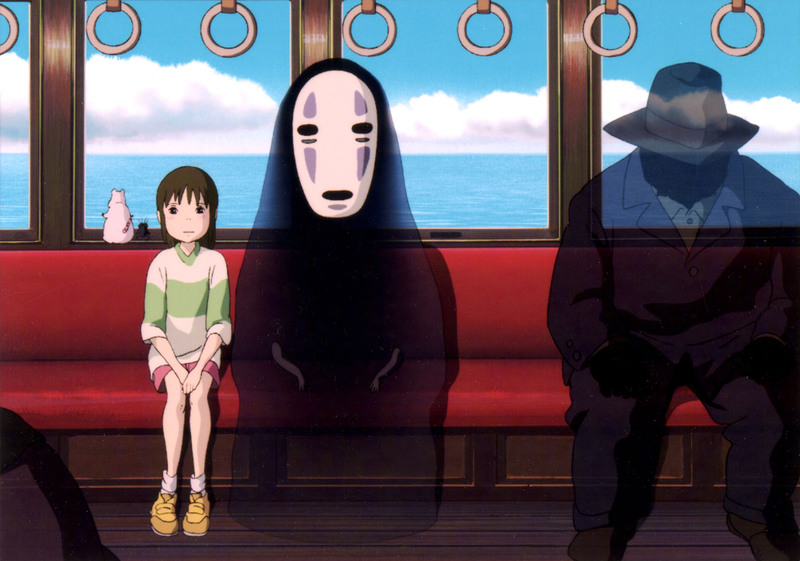 But I won’t insult myself completely; I love Ghibli, I love what they do, I guess I just enjoy some more than others. This film is still spectacular, in a very literal sense, with music and mood and moments that will blow you away. 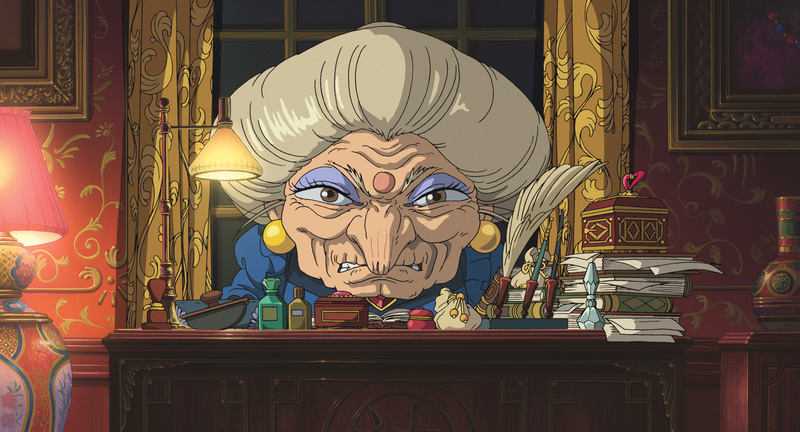 You just may need to discover which Ghibli style suits you best so you can enjoy their amazing movies to the maximum. Video – With an aspect ratio of 1.85:1 (1080p HD Widescreen), the video quality of this Blu-ray version of Spirited Away is among the best you will ever watch. Its visuals are mind-blowing, and a reason alone to watch the film. The color and the clarity are brilliant, as are the choices behind every scene and image. The Blu-ray disc is exactly the media on which to watch this movie, but the film itself brings the beauty to the screen. Audio – The Blu-ray was done in English 5.1 DTS HD, with an option of Japanese 5.1 DTS HD or French 5.1 Dolby Digital. Subtitles are available in English SDH, English, or French. The film is dubbed from its original Japanese, but it loses nothing in translation. The dialogue is simple and sometimes stilted, but that can be forgiven, and the soundtrack that backs the film is very strong. Extras – The special features on this disc are few, and also self-explanatory. Feature-Length Storyboards, Behind the Microphone, Original Theatrical Trailers, and TV Spots. Recommended. 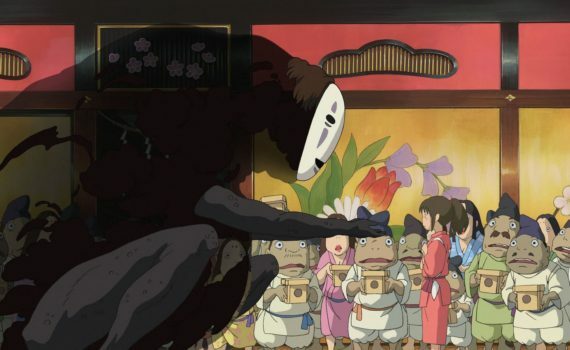 I might be in the minority in claiming that Spirited Away is not amazing, but perhaps I need to clarify exactly what I mean. Because the film did amaze me, how anyone could create such a world and then put in on my screen, that is purely unbelievable. The images will stay with me, the music was delightful, the characters so diverse and special. But I just couldn’t accept the story, couldn’t find the entertainment that so many others have found, and so I wasn’t mesmerized by the film as an entire entity. I hope that how much I appreciated this movie shines through, and I also assume that you will understand your own taste level and expectations, that personal knowledge leading you to the right Ghibli film. The video is outstanding, the audio is great, and there are a few special features to enjoy, so the technical aspects won’t disappoint. Watch with confidence, enjoy something brilliant, and feast your eyes.